Graeme McDowell revealed some big news at the Honda Classic on Friday — his wife Kristin is expecting their first child, a girl. The baby is due to arrive during the FedEx Cup play-offs, a month before the Ryder Cup at Gleneagles, at the end of August. "I think we're planning to have her, if all goes well, the Monday of Boston if she decides to stay in there that long. "It's a great problem to have. I really don't care when she comes, as long as she's healthy. The playoffs into the Ryder Cup ... not much you can do there. But if it affects the playoffs, then it affects the playoffs. There will be other playoffs. You only have your first kid once." 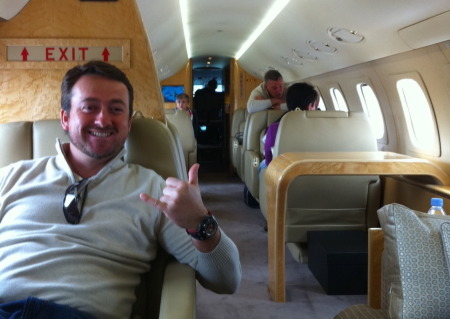 A relaxed Graeme McDowell prepares for Ryder Cup lift off. In the background, Darren Clarke chats with Rory McIlroy’s parents. Pic by Rory McIlroy (? )Graeme McDowell can’t wait to experience the crushing pressure of the Ryder Cup following his US Open win. 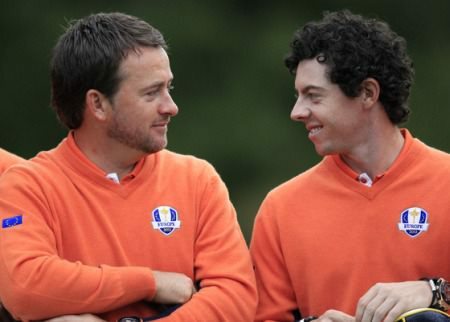 G-Mac on Rory's Nike headache: "The biggest hurdle he has right now is his mind"
G-Mac on Rory: "All the pressure... it has taken its toll"
Graeme McDowell and Rory McIlroy at the 2012 Ryder Cup. Photo Eoin Clarke/www.golffile.ieGraeme McDowell will hate the sound byte to emerge from a Q&A on PGATour.com. But his insistence that it was pure pressure that caused Rory McIlroy to walk out of the Honda Classic mid-round is nothing but the honest truth.